> Hot days -bees need water! 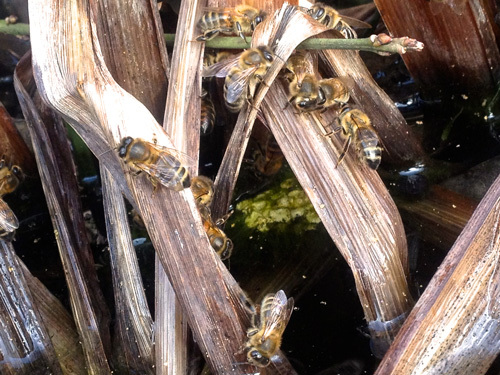 Make sure you provide a water source near you beehives. We have had a few hot days and bees need a cool drink just as much as we do. Look after your bees and they will look after you!